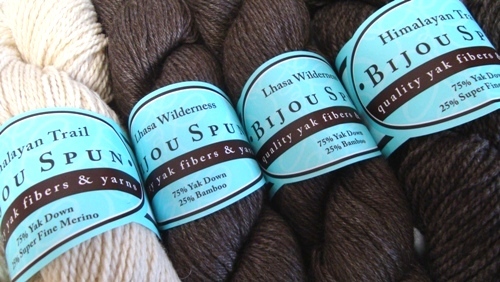 Bijou Basin, Buffalo Gold, and Qivuik are the newest additions to our collection of luxury fibre lines. Vogue Knitting chose this next yarn from Buffalo Gold as one of their Holiday 2009 top picks. 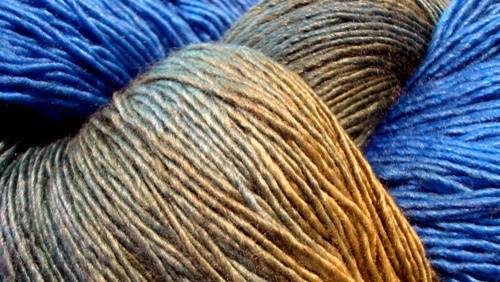 Lux is a beautiful yarn made from 45% bison down, 20% mulberry silk, 20% cashmere, and 15% tencel. Tencel is a regenerated cellulose fibre made from dissolved wood pulp. 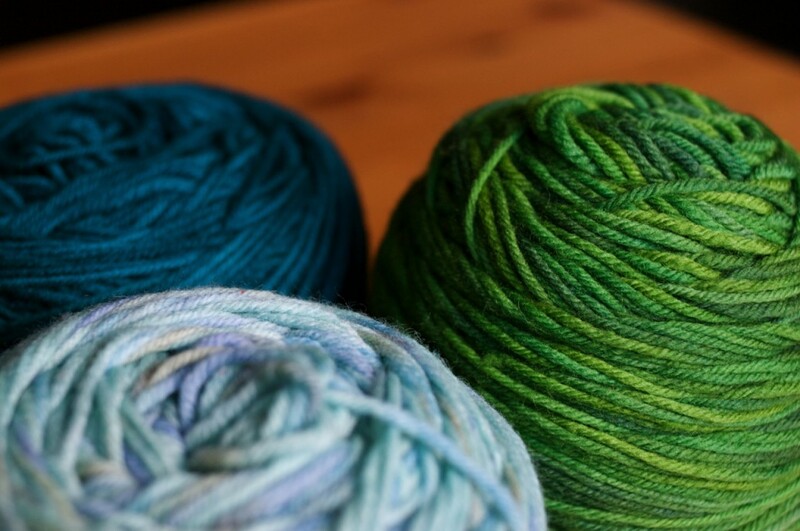 Creamy, silky, and springy are some of the words that they used to describe this yarn. Qiviuk is what you’ve all been waiting for! We received this in a variety of colours. 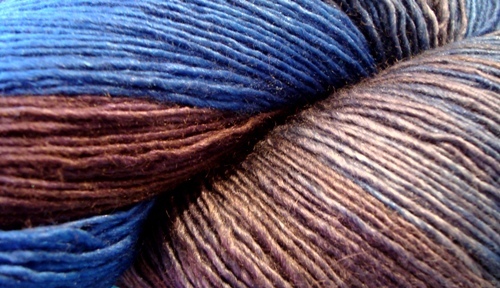 The blend that they’ve put together for this one is 80% merino, 15% qiviuk, and 5% mulberry silk. Qiviuk is the undercoat of a Muscox, an animal native to the Canadian Arctic, Alaska, and Greenland. We have some great samples from the Trunk Show in the Point Grey store right now! Come and take a look while they are here, and feel these gorgeous luxury yarns all knit up. 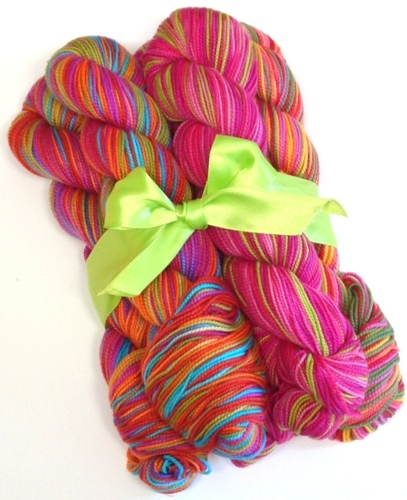 Mini Maiden is one of our most popular yarns for shawl and lace knitting. 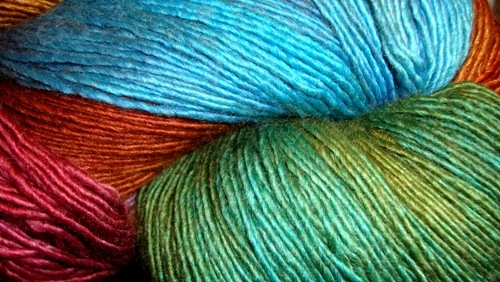 We just received a nice big box, bursting full of this lovely yarn! 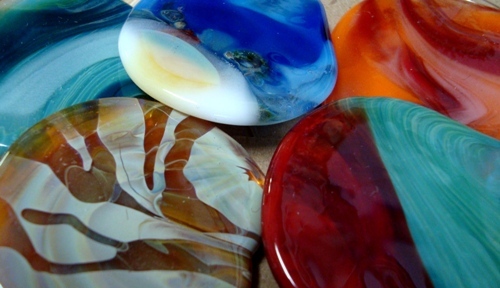 The ten colours that we have for you to chose form are boreal, hemlock, raspberry, woodland, peridot, sangria, nova scotia, midnight, cezanne, and pewter. 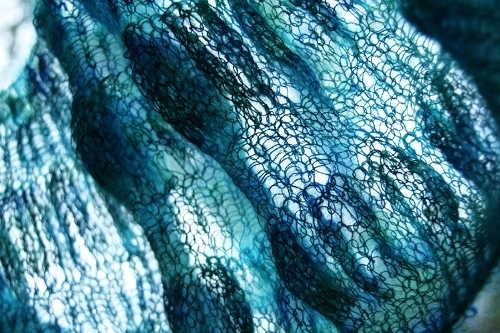 As you can see, this yarn has amazing stitch definition and will look great in either a simple or complex lace pattern. 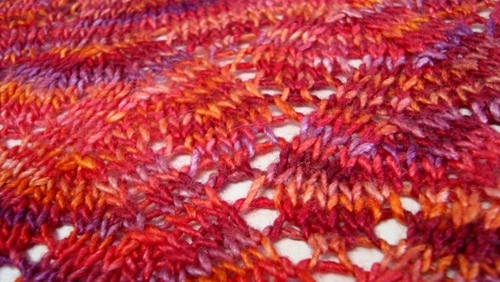 Try knitting Evelyn Clark’s Swallowtail shawl with only one skein of Mini Maiden. Or try the Norwegian Woods shawl or scarf by Sivia Harding. Alison has kindly let us borrow her sample in sangria to keep in the store for a while. 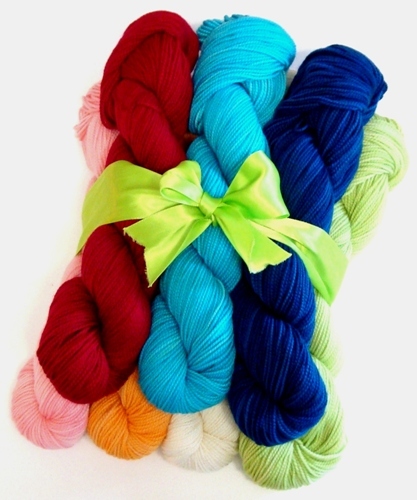 Come by and take a look, and feel the softness of this amazing yarn! We’ve also got lot’s of Lace knitting books in stock at the moment. Get inspired by taking a look at Victorian Lace Today, Lace Style, and Traditional Knitted Lace Shawls. 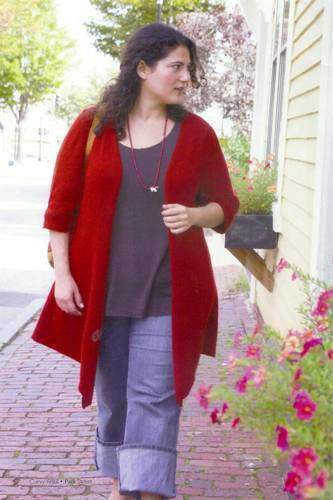 And on special this week, we have the Fleece Artist Harvest Jackets at 25% off! We only have a small selection of these kits, left, so get them before they’re gone! 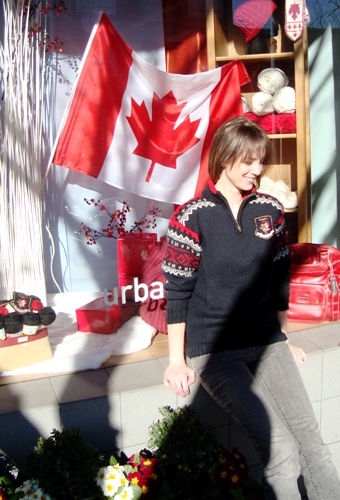 Anina’s commemorative 2010 sweater is finished and has been proudly placed in the Point Grey store window. 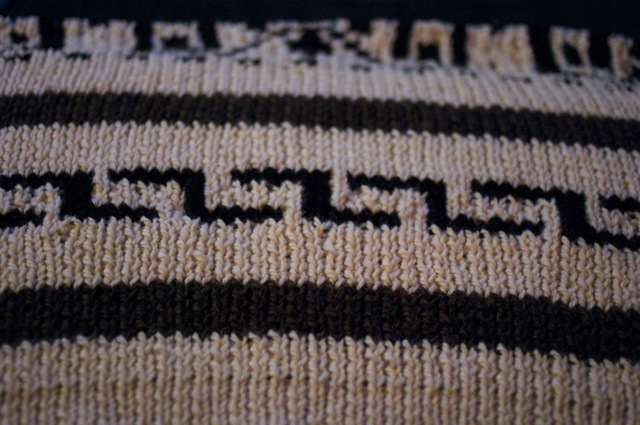 This is a traditional Norwegian sweater which has a lot of fun techniques. 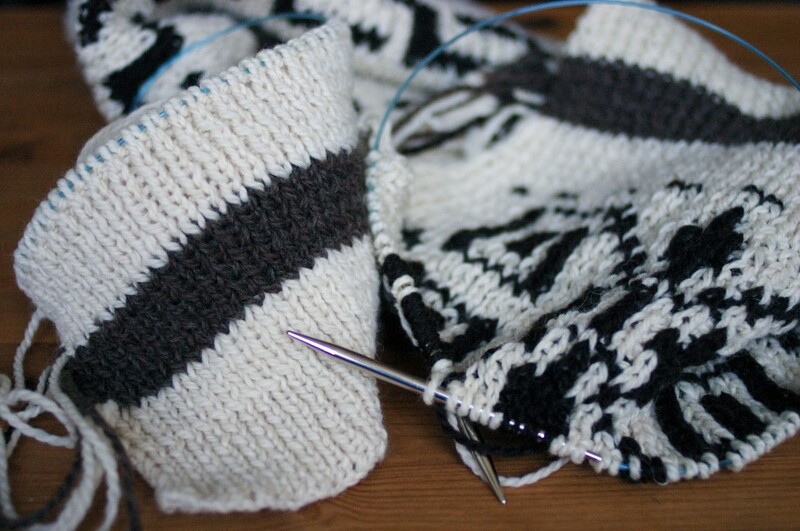 Anina has been kind enough to offer some of her time to anyone who needs help with this pattern in particular. Please feel free to give us a call and set up a time. 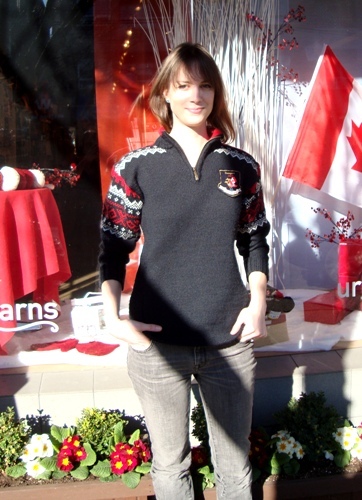 This gorgeous ski sweater is made from Dalegarn Falk; a 100% machine washable wool with a 24 stitch gauge. We’ve made the sweater into kits which comes with the yarn, a zipper pull, and an official dalegarn 2010 patch. The book is free with purchase of the adult size kits! This all comes in a really nice and very useful wicker basket. Unfortunately we can’t sell the books separately as they are the last ones that are available in North America. With that in mind, you might want to get these kits while we still have a few left! Amanda is modeling the sweater in the two photos above. She said she felt really nice and warm while she was wearing it! 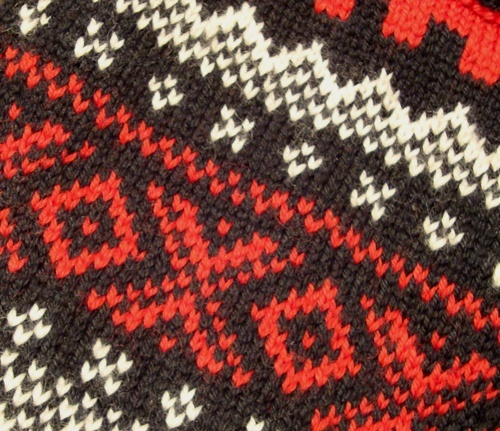 Below in the left, is a part of the fair-isle pattern. The red and whilte really seem to pop nicely against the black. 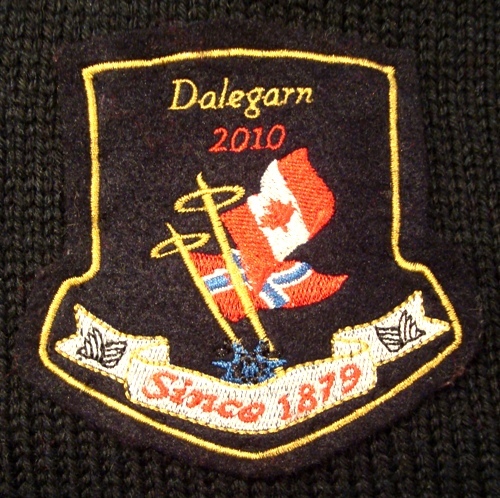 On the right hand side is the Dalegarn 2010 commemorative patch. If you’re not yet in our data-base and would like to receive our monthly newsletter, just send us an email and we’ll get you on the list! We’ll let you know of Weekly Specials, new items in the store, upcoming events, and much more! Look at what was in our very first Shibui box! 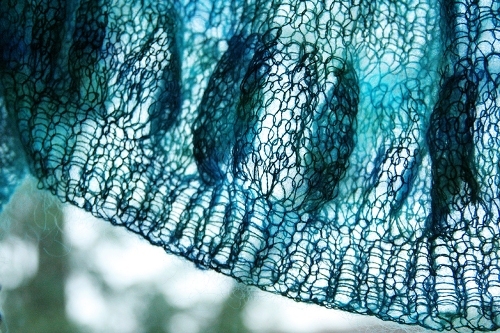 We’re so excited to be carrying their yarns and some of their fabulously designed patterns. Remember, this is only the first box to arrive… many more to come! 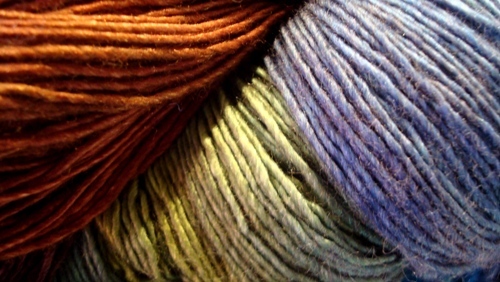 This Week’s special is Sirdar Peru at 40% off! 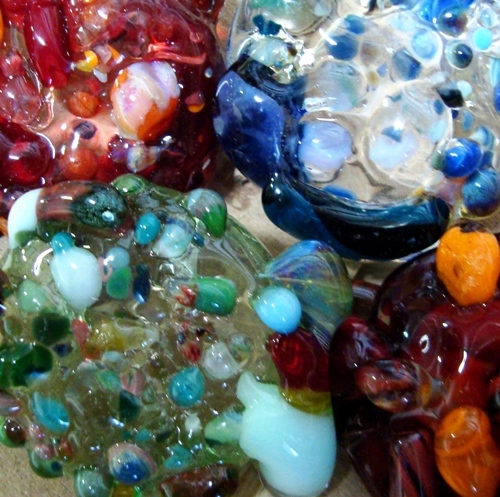 We have 4 colours to chose from and loads of great patterns to match!. I joined the knitting olympics. I know, I know, it wasn’t enough to challenge Anina to a sweater knitting competition, no. I had to take things one step further. I am so enjoying the wonderful exciting atmosphere of this city and I am awed by the way our athletes are pushing themselves to the limit. That in mind, I decided to accept the challenge posed by the Knitting Olympics. What are the knitting olympics you might ask? They are a challenge to all knitters to get their knitting game on. 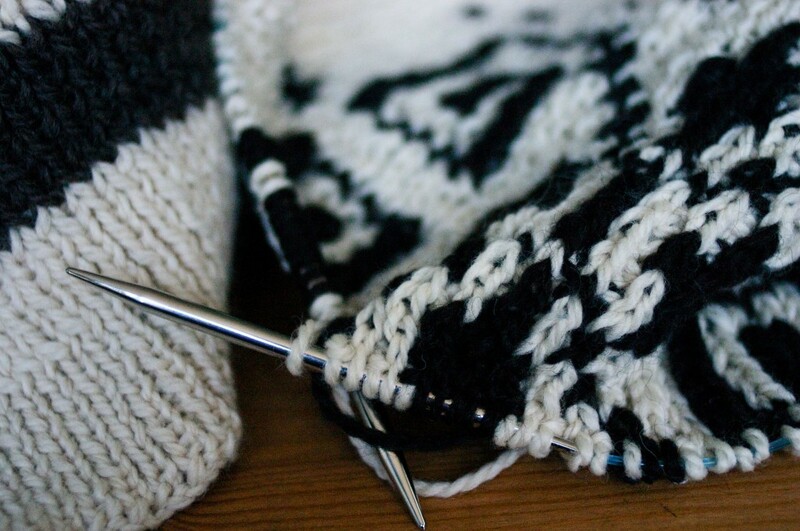 While our athletes are pushing themselves to make personal bests and to land on the podium you are encouraged to challenge yourself to a knitting project. For the record: I’m not comparing the years of hard work athletes spend training etc. to a 2 week knitting project, that would be silly. For the full details you can check out the Yarnharlot’s post about the Olympics here. She explains all the details. I spent yesterday wandering the crowds downtown and this afternoon cheering on our women’s hockey team, but other than that I have been glued to CTV enjoying every televised moment of the games. Of course, I couldn’t let my hands idle so I am plugging away at my own challenge: The Dude. 1. 1×1 rib. Not just the cuffs, not just the bottom ribbing. The WHOLE THING. Seriously. 3. Aren’t I supposed to be in another sweater competition of sorts? These are all things that should have probably been considered more seriously before Friday but as it stands I am attempting to finish 2 sweaters by the closing ceremonies. Good times. PPS: doesn’t it look like I’ve accomplished a lot with these detail photos? What a faker, I haven’t even finished the back! Firefly is the newest addition to our Classic Elite collection. 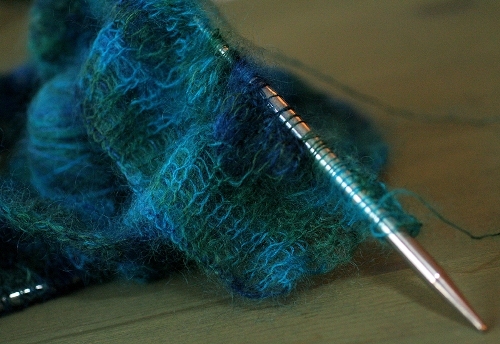 This yarn is made from 75% linen, and 25% viscose and is knit on a 3.75mm needle. It has a lustrous sheen and is going to be great for spring and Summer projects! 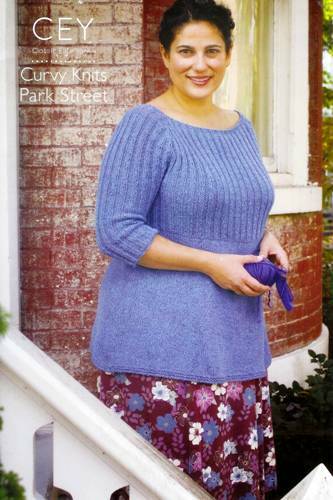 The second book is called Curvy Knits Park Street. This is a great book for fuller figures including four fabulous essentials for your spring closet. My favourite is the drape front cardi. I think it’s such a simple and casual design that can be worn dressed up or down with a pair of jeans, like in the photo below. 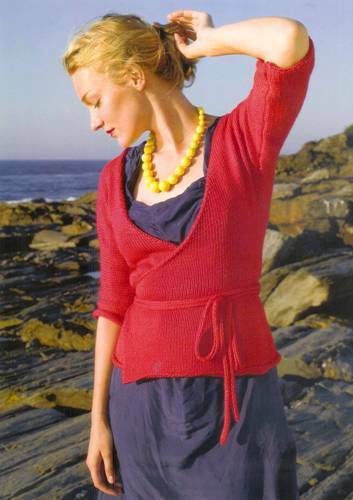 Our Special this week is Debbie Bliss Donegal Aran Tweed at 40% off. 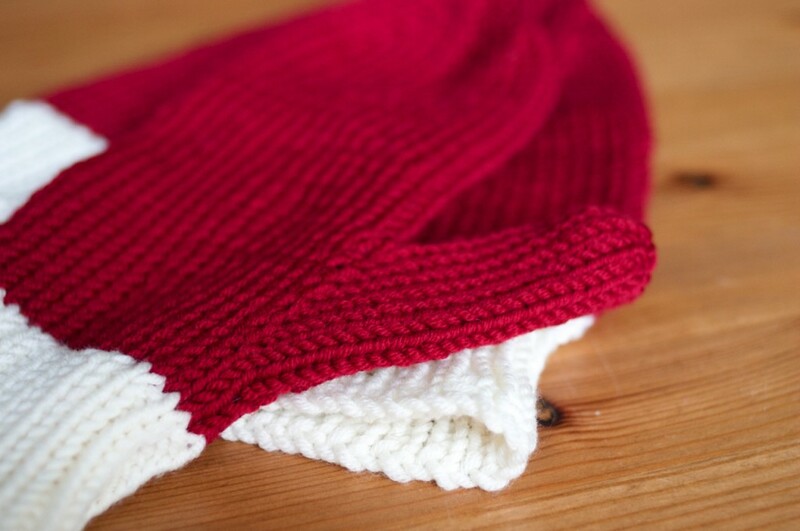 Remember those cute mitts that Kalin made from Interweave Accessories? 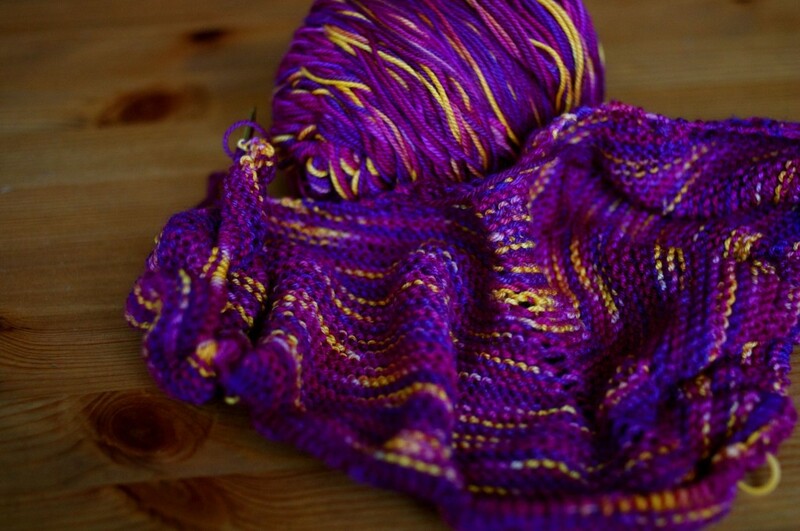 This yarn would be perfect for that project! Valentines is upon us , whether we like it or not! I generally ignore this holiday except to enjoy the pretty tulips my husband usually remembers to get me. This year I came across a pattern I found both hilarious and intrigueing. 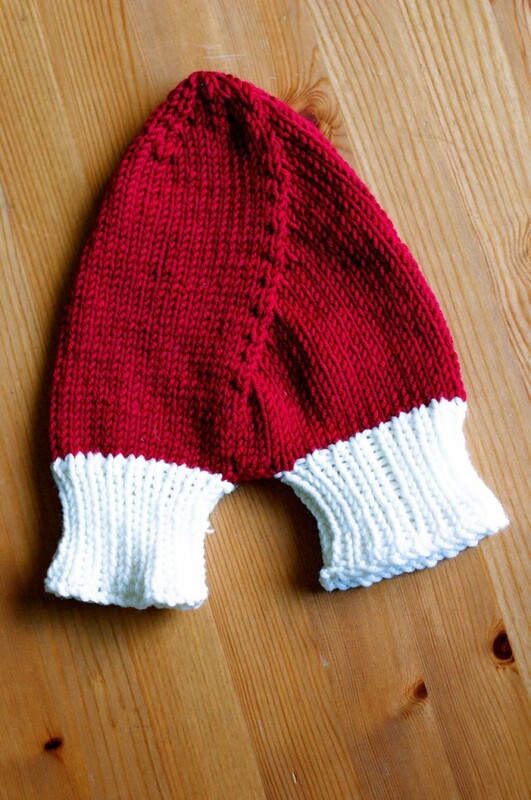 I just surfing around Ravelry, minding my own business, when I came across this cute valentinesy pattern for mittens. I figured they would knit up fast and be both funny and kind of functional. I do like to hold hands. These mittens are designed for the hand holding couple. Those who like to take walks in the chilly winter/spring air. There are two separate mittens for the non-holding hands and one mitten (somewhat shaped like an anatomical heart, not sure if this is on purpose) for holding hands in. It’s designed with 2 cuffs but one mitten part. Hilarious. 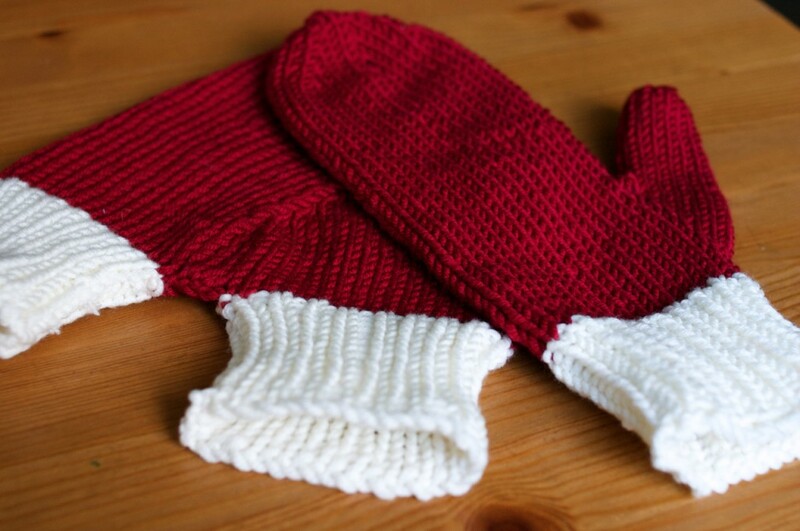 I’m not sure if I will use these mittens myself or if I will gift them to a cute couple. I thought they might make a funny winter wedding gift. Or maybe an anniversary present….. The pattern, which you can find here. On a slightly less lovey topic I though I would inform the knitting public of a certain competition. It’s a sweater battle. 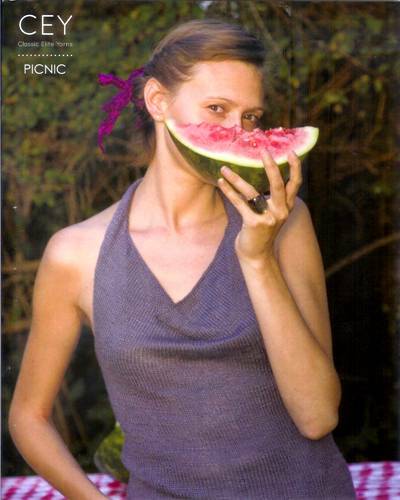 Anina and I have decided to duke it out knitting style. We will both be knitting the Reindeer sweater from Canadian Living. I will be using Dream in Colour Classy (as pictured above) and she will be using Eco Alpakka. We will be knitting different sizes (small for her and large for me) but I think I can handle it. 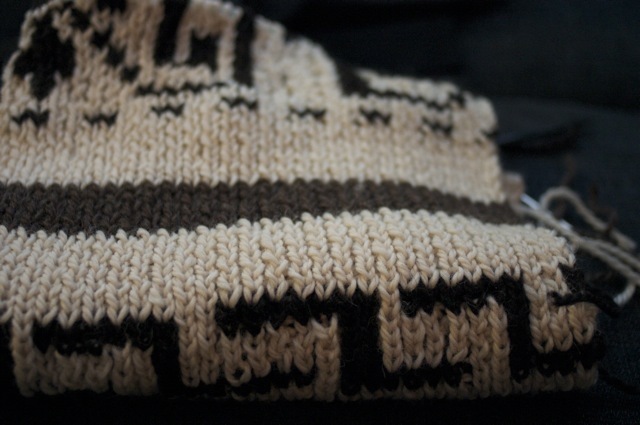 Unfortunately this is how far I am: this is the back ribbing. Of course, the minute I agreed to the competition on Friday and Anina headed home for the night I got the votes of confidence from the rest of the gals on staff. “You are never going to win, what were you thinking?” Kynna asked me. “Anina is a crazy fast knitter, this will not end well” Amanda informed me. Well, I’ll just have to give up sleep! Kynna and Amanda are also working on the reindeer sweater (possibly at a more reasonable pace). 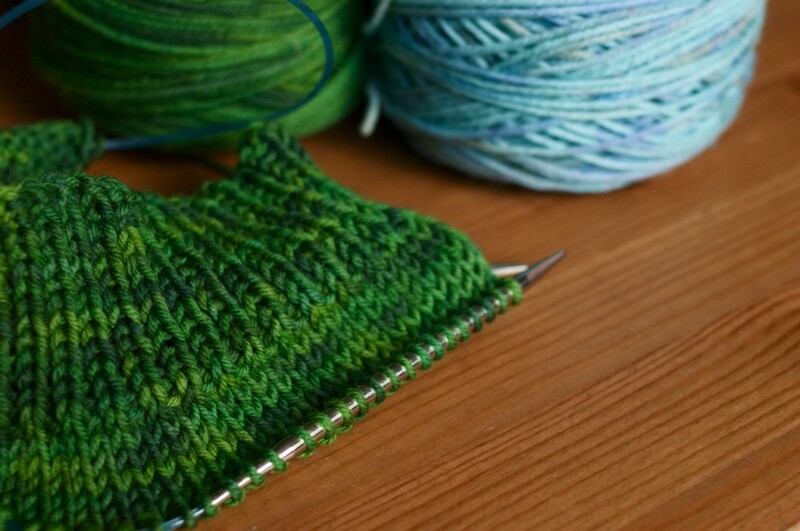 Kynna is using Cascade Eco Plus and Amanda is working in Viking yarn. Can’t wait to share out finished products! 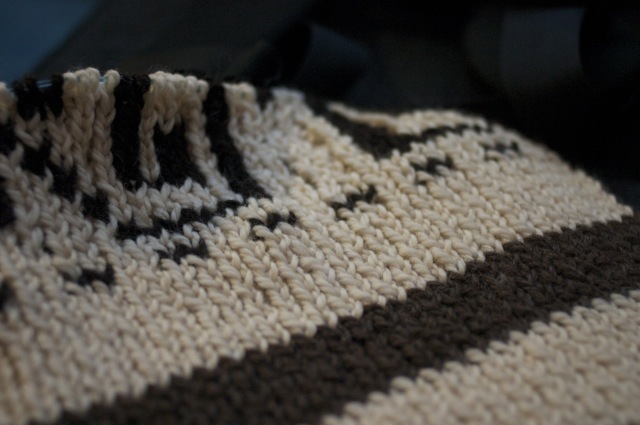 The pattern for the sweater can be found here. 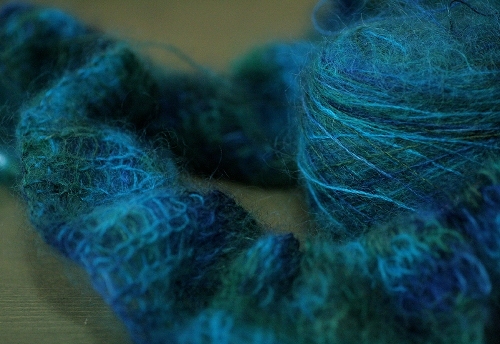 Venus knit her sample in the “secret agent blue” colour-way. Unfortunately we’re out of stock in that colour, but will re-order next time. With 11 beautiful colours to chose from though, there’s bound to be something for everyone! 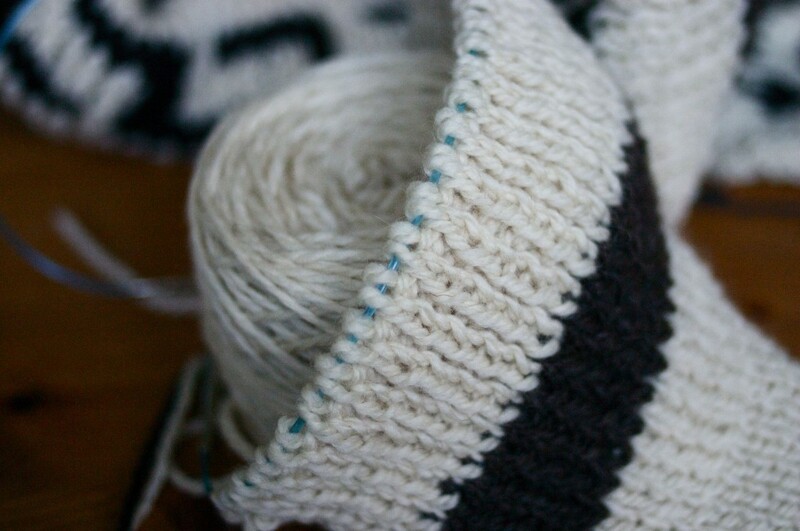 This shawl will be on display in the Point Grey store once it’s finished. Well done Venus!